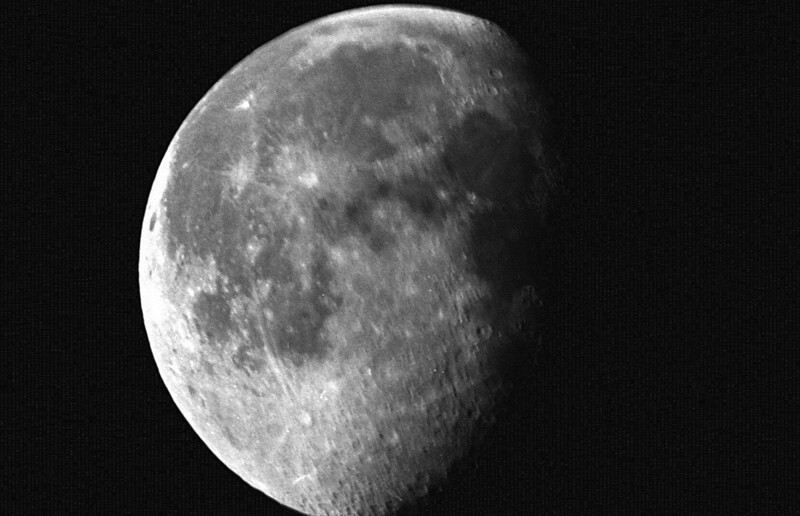 The Waxing Moon 24th June 1978. - bigger telescopes catch a lot of light, but also a lot of the breeze! 8" f/6 Newtonian Reflector on a German equatorial mount (no motor drives) used with Zenit-E 35mm SLR camera at the f/6 Prime Focus. Film ASA-125 Ilford HP-4 @ 1/250sec exposure. Scanned using Canon MP980 MFP 9/10/2011.